Valencia is one of the most vibrant, forward thinking and cosmopolitan cities in Spain. It is the country's third largest city and has a heritage, culture and nightlife to rival the best cities in Europe. 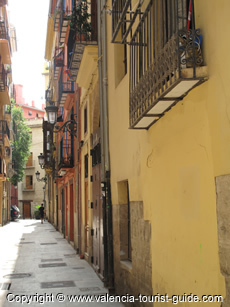 Much of your time in Valencia is likely to be spent in the old town - El Carmen. This area is the home of important buildings including the cathedral, the art deco food market and the ceramics museum. It is also the place to head for a spot of Valencia's famously good shopping opportunities. And if you are in the mood for a night out on the tiles, the small streets surrounding the cathedral are jam-packed with small bars, tapas joints and clubs. Valencia is very proud of its dedication to forward thinking architecture and cultural projects. The world famous City of Arts and Sciences has to be seen to be believed. It is a cultural centre stretching over 2 km and made up of buildings and open spaces that look like they are straight out of a science fiction film. The city is also a wonderful place to head if you fancy relaxing in the outdoors. Not only does it boast 13 km of golden sandy beaches, there are also parks and gardens throughout the city offering tranquility and beauty. The riverbed of the River Turia has been dried out and now offers 9 km of parks and botanical gardens that cut right through the heart of the city. The Valencia Bioparc is a zoo unlike any other, designed to feel as though you have been air-dropped into the heart of Africa. Whatever you look for in a holiday, Valencia will have what you are after. At Valencia Tourist Guide we aim to provide the most reliable and comprehensive information possible. 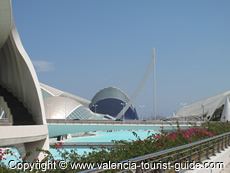 Throughout the guide you will find practical information on all areas of tourism in and around Valencia. We hope to do the legwork for you - we will research all of the niggling practical elements of organising a holiday so that you don't have to. The information that we provide in the guide (including times, prices and addresses) is checked on a regular basis, so there is no need to worry about facts being out of date. 1. Our number 1 recommendation to help you find the information you need a quickly as possible is to use the search bar at the top of every page on our website. Type in a few keywords for the information you need and press search. You will then be presented with pages of information that answer your questions. We recommend this method first because there are many hundreds of pages of information on our site and it can be difficult to find them without using this search bar. 2. Take a look at the blue navigation bar on the left hand side of this page. You will see that the pages have been split by topic. Click on the topic area that you are looking for and this will bring you to the section that you need.